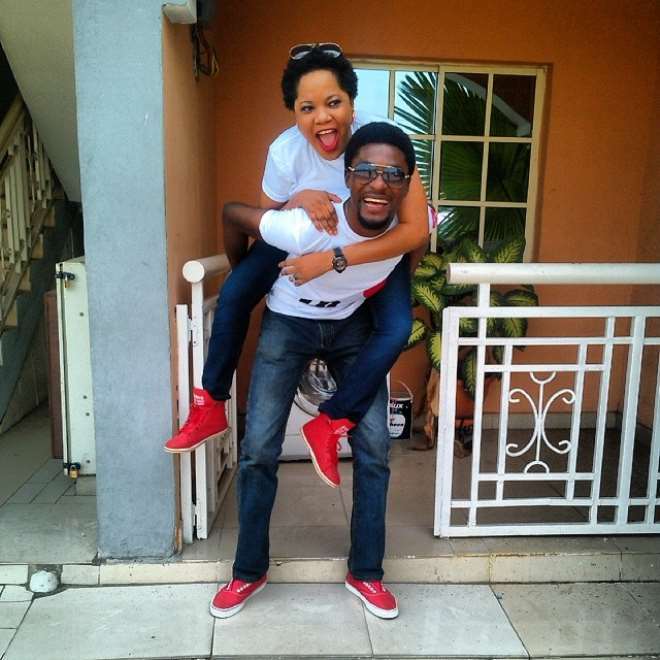 Movie stars, Toyin Aimakhu and her husband, Niyi Johnson are marking their first year together as husband and wife today, Tuesday, July 8, 2014. 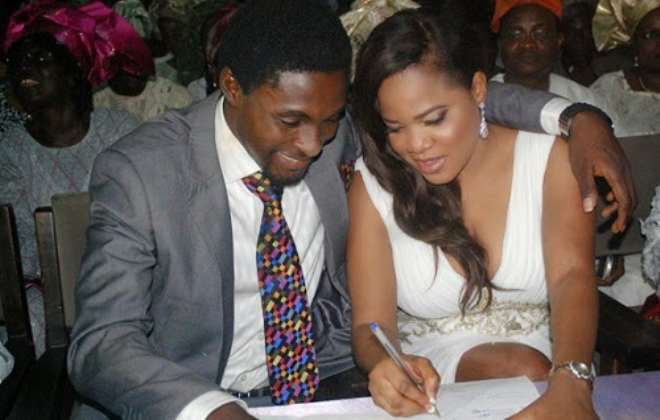 They got married exactly one year ago at the Ikoyi Marriage Registry in Lagos, which was almost marred by a downpour. An excited Toyin took to Twitter to write, “just like yesterday hmm. God I thank you for the journey so far, oko mi, Adeniyi, happy wedding anniversary and thanks for changing my negativity into positivity."